" I appreciate the non-institutional approach CJL has to teaching. Broadening the students' horizons with song, social awareness, history, small groups for more individual attention and strong personal relationships. 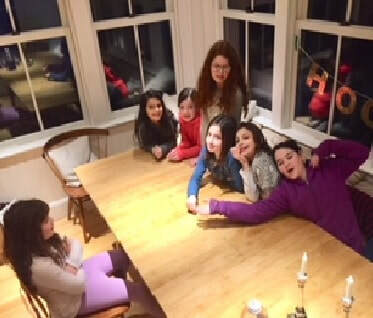 I feel with this approach my girls have gained a greater knowledge of not just what it means to be Jewish, but also what it means to be able, more productive people." 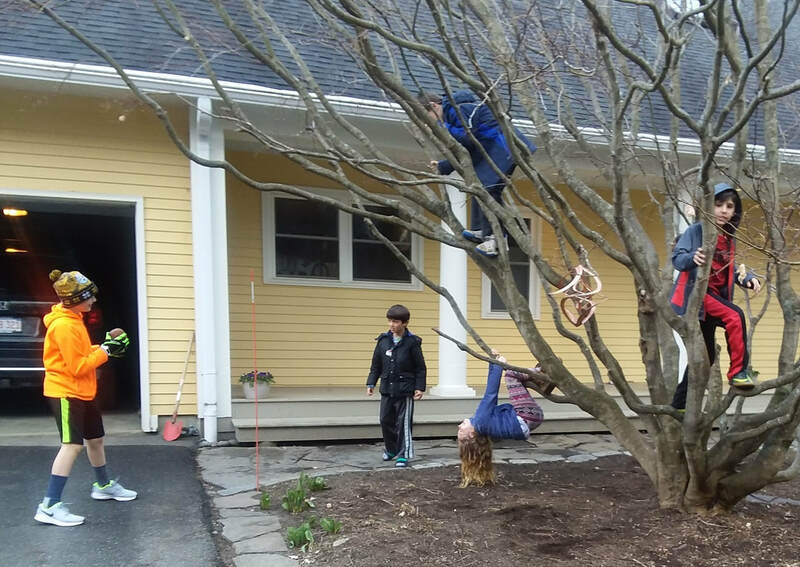 The CJL after school program offers multiple weekly classes for up to eight children per group who meet in the homes of participating families. Each year we explore history, culture, holiday traditions, life-cycle and identity. 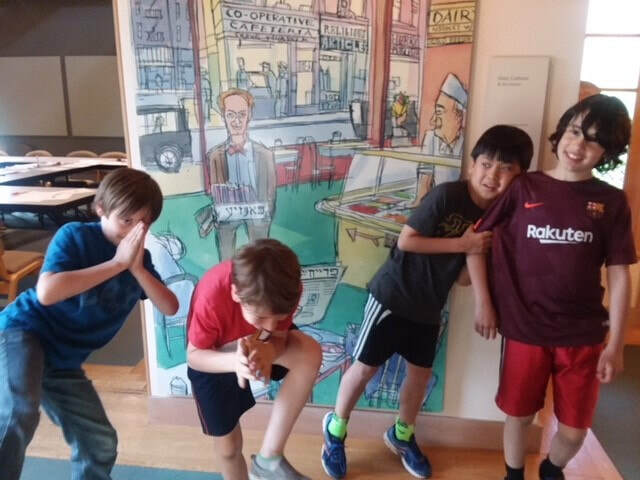 Students build connections between the past and present through a variety of activities that include: Hebrew reading, games, discussion, film, stories, art, music, movement and the occasional outing. The After School program employs a cohort model of education where students in mixed grade groupings study together for up to 5 years with the same instructor. This method of instructional design affirms the teacher as long term guide while cultivating relationships with deep roots for all. At CJL, we are inspired by The Responsive Classroom approach that directs our sense of community belonging and inclusion that is core to the mission. Additionally, knowing the families of participating students and encouraging their partnership is important for building our community connections. To this end, there are multiple family and community events throughout the year. Responding to the question 'What blessing would you like to have in your life?" Reading Alisa's book "Sign Language Shabbat"
"CJL provides a place where young people can explore and speak openly about integrity, ethics and Jewish identity. At its best, a community forms where students enjoy the process of learning and have a place where they can express their authentic selves." "What a terrific, thoughtful curriculum. I wish my Hebrew school experience was this good! "I would love to sit in, but don't want to mess up the comfort level and vibe of the group. All I know is I get great updates each week and my daughter reports that she is having a great time." "Thank you for your innovative, varied, thoughtful, interesting and fun ways to get information out to kids. You touched upon all the intelligences to help kids hear and see stories from different angles. Thanks for being willing to do whatever works, including climbing the tree house and involving families in all you do." "You are such a great teacher, and you have such a unique way of teaching. It's been amazing to have you as a teacher."